Video of Are DSLRs dead? As a lot of photographers anxiously await the release of professional full frame mirrorless cameras from Canon and Nikon, a lot of people are climbing the bell tower to toll the death knell for the DSLR. Such a reaction might be a bit premature. Coming to you from James Popsys, this great video essay gives his thoughts on the impending turning point the industry is probably approaching as Canon and Nikon finally get serious and release professional-level mirrorless cameras. Personally, while I'm excited to see what they have in store simply because I'm a geek, I don't think this is the moment DSLRs suddenly become extinct; in fact, I don't think there's any such moment that'll happen suddenly. I do think that if Canon and Nikon get it right (and by "get it right," I mean that they create cameras that both reasonably compete with Sony and leverage their massive head starts in lens libraries already in the hands of photographers), this will be the moment we look back on in ten years or so as the start of the revolution. Either way, I'm really looking forward to what the next few months have in store for the photography community. I could be wrong, but I think the industry will just split into two, equally viable camps. I just don't see mirrorless as being the sea change that digital was. That, of course, will depend on the consumers. I thought this for a while, too, then I looked at the pace of innovation in mirrorless and forecasted that towards the future. 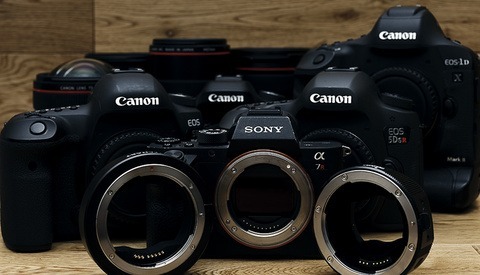 Right now, mirrorless is on-par with DSLR overall (each may have an advantage in one area or another), but there's not much more room for advancement in DSLR where the mirror is used. However, mirrorless is just hitting it's stride. Technologically speaking, I expect mirrorless to be far more impressive in the 5-7 years than DSLR. To me, the only way DSLR survive more than 10-ish years is by being dramatically cheaper. The way to do that? Stop innovating. Very convenient that they've reached a point that's likely to happen anyway. I don't think they need to be improved or made cheaper. Painters still use the brushes they've used for over a thousand years. Sculptors still use a hammer and chisel. Photography, as art, doesn't need innovation or anything for that matter. Most of the recent improvements have more to do with compensating for the short comings of photographers and nothing with improved picture quality or the ability to get them. 5 years ago we wouldn't have thought it possible to track a humans eyeball as they ran towards a camera literally anywhere in the frame and take 20 pictures per second with no blackout. We don't know what we don't know, and right now, we don't know what else not having a mirror in the way of the sensor will allow camera manufacturers to do. Also, your comment doesn't make much sense... if you don't want cameras to improve, why wouldn't they get cheaper with time? That's typically how things work. Cool. And if you want to pay in 5 years what you're paying today for the exact same tech, that's your preference as well. Enjoy! Sam Fargo, yes, "sea change," nope. despite what some Internet bloggers are vloggers are calling a coming "revolution. This is not going to be like the change from rangefinders to SLRs with instant-return mirrors or the change from film to digital. Those were revolutionary--they introduced whole new ways of conceiving subject matter--entire categories of images could be made that were practically impossible or so difficult as to be impractical for professionals. As I've said before, I am not seeing images created with mirrorless cameras that on the whole could not have been created with DSLRs. To be sure, they are often somewhat easier and more convenient. But it's not a sea change in image making. This isn't like suddenly being able to switch from a 20mm lens to a 400mm lens with the same camera body and shoot just as quickly and easily with either one. I think nearly all of us will get to mirrorless cameras eventually. I note that Leica still sells a few rangefinders, but I don't see any DSLR having that level of lasting panache. From people who shoot on mirrorless they only really complain about the battery life. I have used one but the price point is not worth the switch right now. I shoot on mirrorless and sometimes I miss the solid feeling of a DSLR. When I'm shooting something that might put my a7ii through a bit of a beating I never worried about how banged up my old 5dmk2 got. The rubber on my a7ii is falling off which is something that never happened on my canon's (Nikon sucked for this IMO)... I hate having to glue it back together. Battery life hasn't ever been an issue for me since I turn off nearly everything that will drain power that I'm not using. Airplane mode is always on, Steady shot is off, I've even gotten used to turning off my camera between shots but my process might be different from the majority. I get as many images per charge out of my A9 as I did my 5D Mark IV. And I'm not turning things off to accomplish it. Batteries are bigger now, and efficiencies inside the camera and fw are improving as well. The only people claiming that DSLR's are dead are "people" who own a Sony mirrorless and put on 1500 frames or less a year. Anyone who shoots for a living really does not concern themselves with such trivial sentiments. While I shoot far more than 1500 a year and don't consider myself a working professional I wouldn't be the type of person who thinks that the tool that works best for me is what works for everyone else. DSLRs will be around for a long time yet. I don't shoot as my sole source of income, but I do make money from photography. Mostly, I'm taking pictures of people and eye AF has been incredibly helpful. It's FAR more accurate than shooting through the viewfinder of a DSLR. It's also faster (no moving the AF point) and there's more freedom with composition. Sure, I got the job done back when I had a 5D Mark IV and 5Ds. But I get the job done faster and in a more enjoyable manner now. I couldn't care less what people choose to shoot with, by the way. Death of dSLRs - no. Death of consumer-level dSLRs? /Maybe/. I don't think dSLRs will ever truly die. But do I think the consumer market will shift toward a platform that's lighter, smaller, and easier to use? One that easier for soccer moms to tote around in their purses and still get halfway decent shots of their kids playing sports? Yeah, I can see mirrorlesses chipping away at that market. As far as pros' preferences go -- they're such a small segment of the market that I'm not certain that they'll have much if any influence on the future of dslrs vs mirrorlesses. Interesting thing: there are actually 3 camps around: DSLR, Mirrorless and Sony-Mirrorless. The big noise comes from the latter camp who seem to have a sacred mission to mock and demean DSLR. DSLR and mirrorless are not mutually exclusive to talk about one replacing the other. For me it's like black-ink vs blue-ink pens, which one will die first!? It’s just a tool. I like the way canon feels in my hand. Hate Sony, indifferent to Nikon. The best feeling I ever had is when I first borrowed my uncles M6 when I was a kid. Shooting film with that camera made me appreciate the craft of photography. Now all the talk is dynamic range and Instagram and photoshop tricks. No end to the desire to get better and closer to the feeling of photography, just this endless chase around the technological bend. So pious. We're not worthy of your words. Shhhh don't tell them that cameras are just tools or they might stop worrying about what is coming out next and just take pics with what they have. 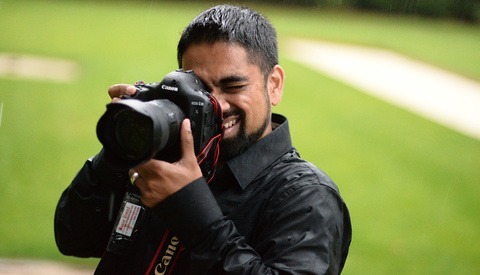 My DSLR does what I need (regardless of brand) so I'm all good. I stopped worrying about when the video features I wanted would show up and just bought a GH5 so now my camera can just be a camera. When people talk about declining sales it makes me wonder if the reason most people don't own a big camera is simply the over expensive cost of doing so. I hear that or "I didn't feel like carrying around a bunch of heavy gear. So yes mirrorless will be super popular if their price comes down cause they are so light and cute. Of course, how else do manufacturers keep selling product that no one really needs? I recently made the switch from Canon 5D MkIV to Sony A7R III because for my main work, shooting in studio for composites (mainly movie posters etc) I needed more megapixels and I loved the Eye Auto focus feature. I can say that the difference between 42 vs 30 MP is significant and the main lens I use, the Sony/Zeiss FE 50mm 1.4, is probably the best lens I've ever used (I also picked up the Batis 25 and 85 and love them). But as to actual usability during a studio shoot the Canon just blows away the Sony. There is so much lag at times, hunting for autofocus, intermittent failure of Eye autofucus, delays doing simple things like changing aperture etc. that it has been a frustrating transition and the issues were non-existent on my Canon. As to ergonomics, the Sony loses and I had to add the battery grip just to have the camera fit my hand. That said, when it does work, the end result is spectacular! Not sure my point other than I wish the Nikon D850 had been in stock somewhere when I was making the switch, I would have stayed in the DSLR camp and will probably make the switch back to Canon if they update the 5DSr. Lance，A7Riii can be fully customized to your needs, if you use strobes, some settings need to be changed. Once you have done that, the A7Riii will blaze away. Customization! Ha! I didn't even mention the insane and over complicated menu system! Of course I have gone through every menu setting and YouTube video available including the great Marc Gailer . That hasn't changed any of my experience or opinions. Still, I'm not a Sony hater because when it works it's phenomenal. It's about 95% there and my point was Canon and Nikon have to be better than that if they hope to succeed in the mirrorless market. If Fujifilm ever releases a full-frame mirrorless they could truly put a dent in the market as I think they're releasing some of the best cameras right now. It takes some getting to. Once I customized the buttons & keys on my A7Riii, I rarely need to get into the menus; now when I pick up 5D Mark IV, it feels so ancient. On the other hand, the Nikon D850 feels a lot better. Hm... I also have r3 for studio work and aperture change is just a turn of a dial. EyeAF works for 99% of photos. Do you switch of "effects preview" for studio? To summarise: I don't know. However, it makes perfect sense that if you bring a new product into the market (mirrorless) that performs an identical function to an existing product (DSLR), then a percentage of users of that existing product will migrate to the new product when it is time to upgrade. Primarily (but not exclusively) this is a question that goes to marketing effectiveness, as it pertains to neuromarketing and the strength of brand loyalty. It stands to reason that Canon and Nikon will be strongly marketing the strengths of their mirrorless systems, as they will be wanting to recoup their R&D costs. 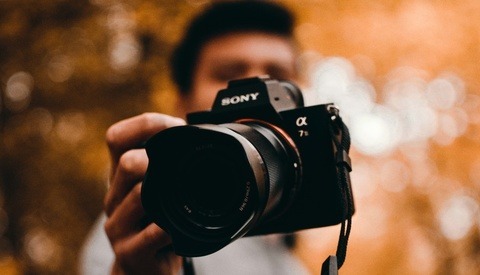 On that note, there will be a significant percentage of established photographers who elect to remain with their brand and platform; however, the pertinent question going forward is whether new users will continue to purchase DSLRs. Although, with regard to working professionals, clients remain impressed by huge bodies, and so large DSLRs with battery grips retain a seperate utility with respect to client sentiment and perception. As to mysef, I have mirrorless, DSLR, SLR, TLR, rangefinders, and pinhole. I don't much care, I'll shoot them all. DSLR's will be killed by manufacturers, not by customers. Once they transition to mirrorless and they sell you the opportunity to sell you new lenses and new bodies with less cost and at a higher price point they won't hesitate to cutt off the dslr production lines until they just have one ending model for some years. Also, note that dslr manufacturers (canikon) have lower experience on mirrorless and so they have less know how on power consumption. That's why their mirrorless have those lower figures in between the competing mirrorless cameras.